Copyright © Jean-François LANOE - This image is copyrighted. Unauthorized reproduction prohibited. 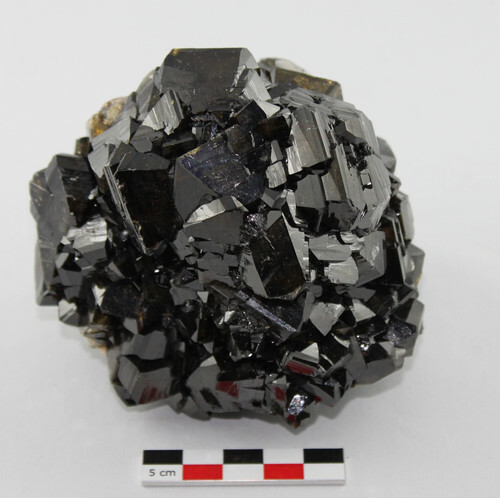 Large spherical specimen showing twinned crystal groups, very shiny, black honey yellow. Collection Jean-François LANOE, Inv. 0560-323.